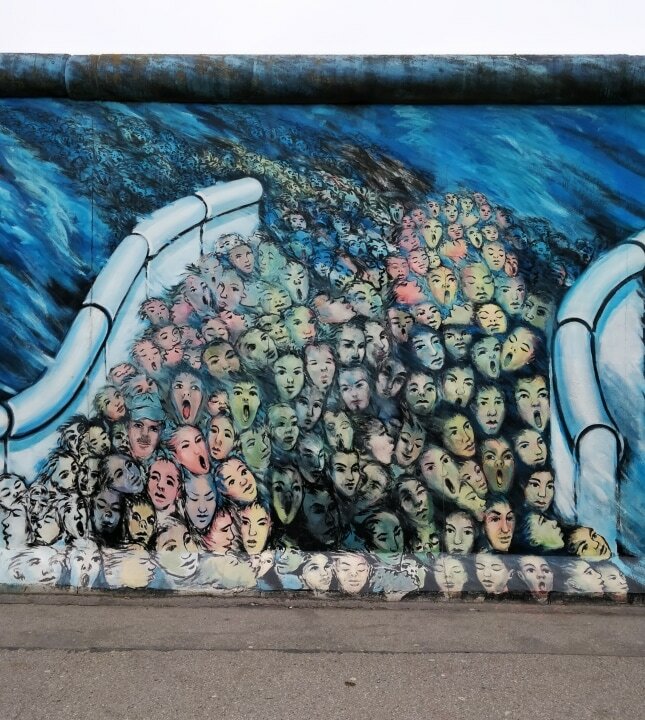 Sprawled across 1.3 kilometres and comprising over 100 pieces of artwork, the East Side Gallery in Berlin is living testament of the reunification of a city that was once divided. Soon after the wall fell in 1989, over 100 artists from across the world gathered together and painted over the former Berlin Wall along Mühlenstraße. It officially opened as an open air gallery on 28 September 1990. A year later, it was given memorial status. 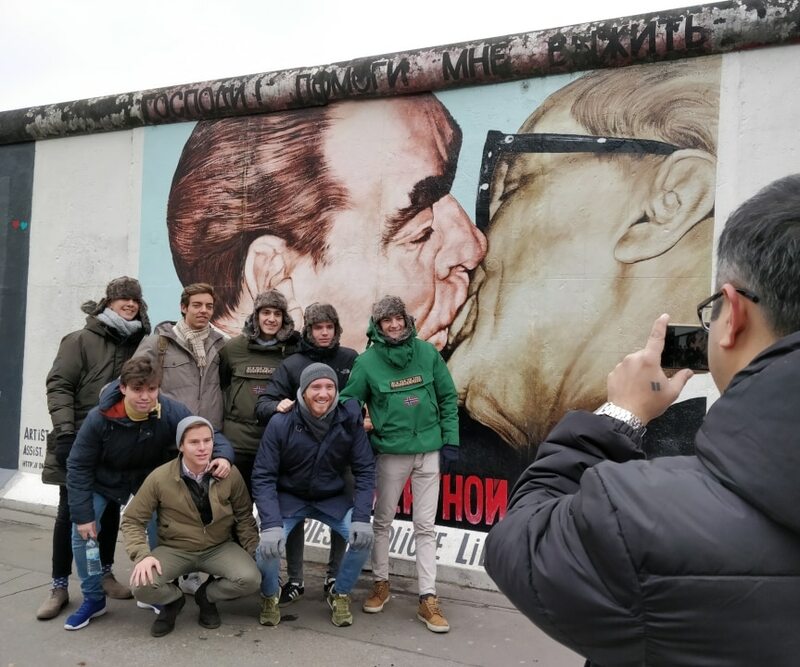 Some of the works at the East Side Gallery are particularly popular, such as Dmitri Vrubel’s The Fraternal Kiss, Birgit Kinders’s Trabant breaking through the wall, Das Vaterland by Günther Schaefer and Detour to the Japanese Sector by East German artist Thomas Klingenstein. 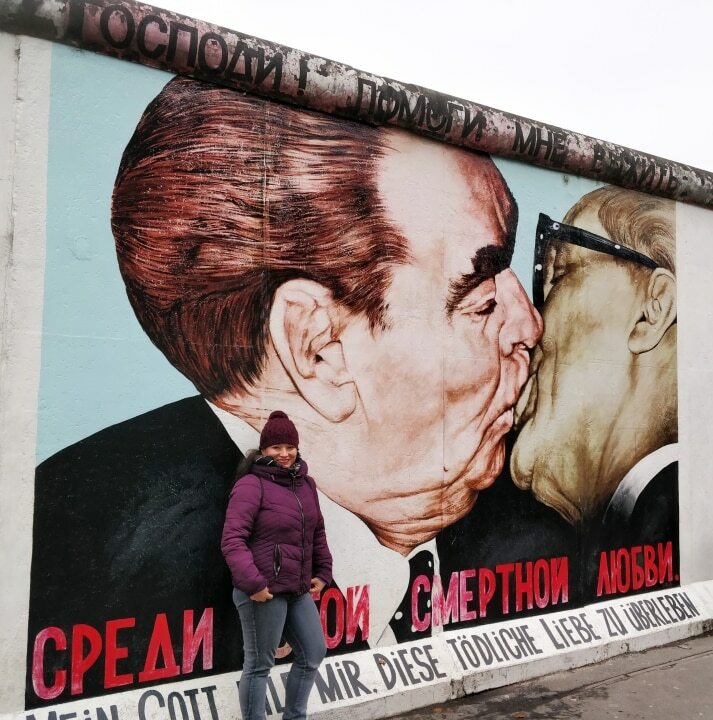 Painted by Russian artist Dmitri Wrubel, The Fraternal Kiss depicts the infamous embrace between Soviet leader Leonid Brezhnev and East German President Erich Honecker. It took place in 1979 in honour of the 30th anniversary of the German Demonstrated Republic, or East Germany. 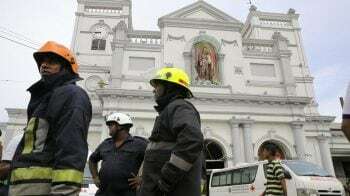 The slogan under the painting reads 'My God, Help Me to Survive This Deadly Love'. 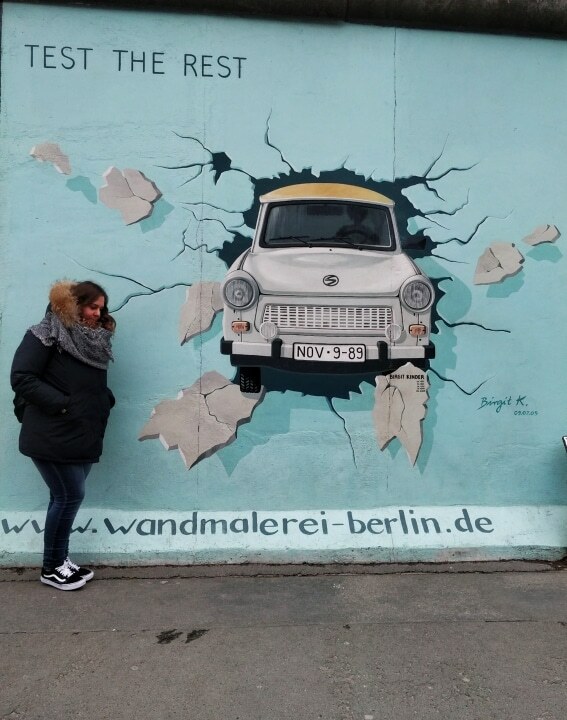 A symbol of the Communist East Germany, the Trabant car was used as an escape vehicle to go over the Berlin wall. This painting by Birgit Kinder is a depiction of those times. 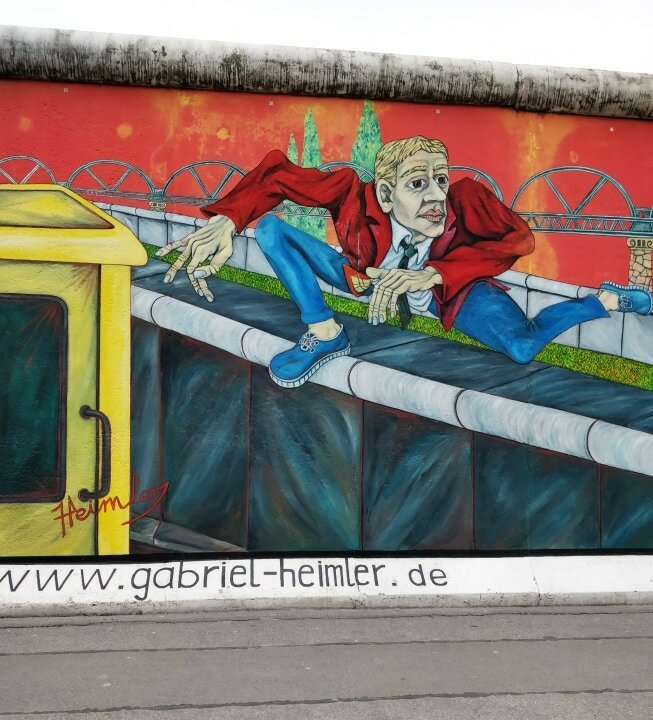 This mural painted by Gabriel Heimler titled ‘Der Mauerspringer’, meaning the wall jumper depicts a West German jumping over to the East as symbolising an escape towards freedom. 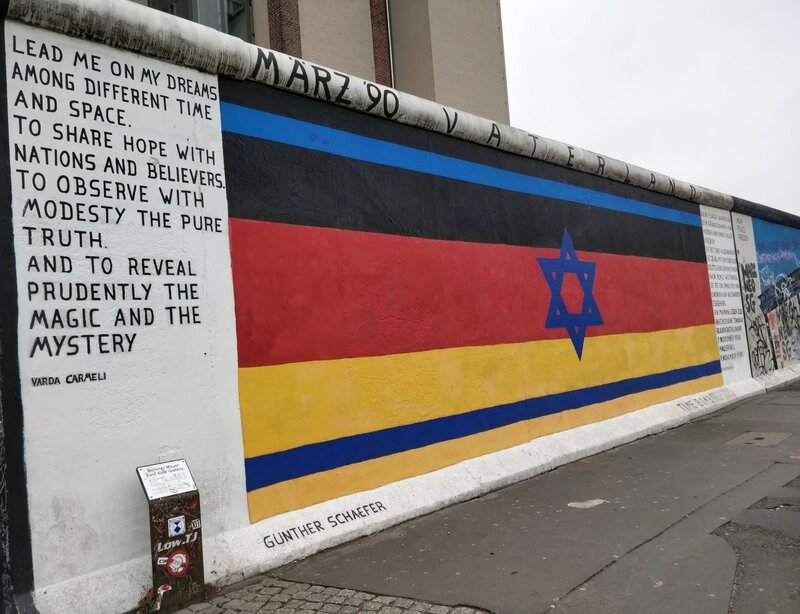 Artist Günther Schaefer fuses German and Israeli flags in this painting to commemorate the traumatic beginning of Fascism and Communism. The flag and its ‘pendant painting’ were created to honour of the 50th anniversary of the Night of the Broken Glass when Nazi forces in Germany and Austria destroyed Jewish-owned shops. The painting lends itself as a protest against extreme regimes and abuses of human rights. Confusion, joy, trepidation, and liberation—Berlin artists Kani Alavi capture the various emotions felt by East Germans heading over to the West in this abstract painting depicting Checkpoint Charlie the day the wall fell.